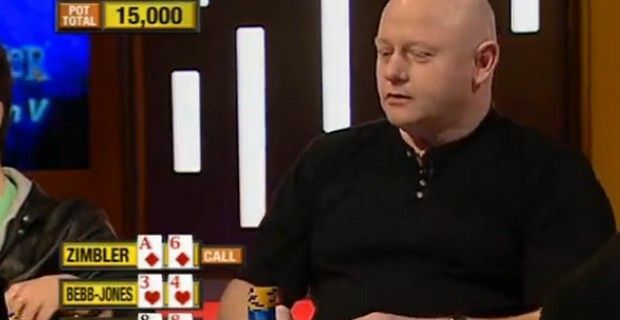 Marcus Bebb-Jones, British poker ace has been sentenced to 20 years in prison for the 1997 murder of his wife Sabrina. The final chapter on the 16-year old murder case that spanned both sides of the Atlantic, came to a close when Bebb-Jones was finally sentenced. The couple owned the Melrose Hotel in Grand Junction, Colorado, when Mrs Bebb-Jones disappeared in September 1997 during a family jaunt at the Dinosaur National Monument near the Colorado-Utah border, with Bebb-Jones claiming that his wife had walked away following an argument that they had at a mall. The police has discovered traces of Sabrina’s blood in the couple’s van, but were been unable to file charges, because of the lack of a body. Her skull was found in 2004 in a remote wooded area in the national park near Douglas Pass, and the investigation picked up speed again. Just a few day’s following his wife’s disappearance, Bebb-Jones went to Las Vegas saying he was searching for his missing wife, instead he went on a spending spree, maxing out the their credit cards on gambling, booze and prostitutes. He also attempted to commit suicide by shooting himself and leaving a suicide note to his wife, pretending to be devastated by the argument they supposedly had, but he botched the attempt, which investigators later believed was done to sway suspicion away from himself. A year later he moved back to the UK with son Daniel and began earning a living on the British poker circuit. He was arrested in 2009 in a raid at his home in Kidderminster, Worcestershire and was later extradited to the US to be prosecuted after he lost his appeal against extradition in 2011. Sixteen years later Bebb-Jones admitted that he had killed his wife in the heat of passion, but only after the court agreed to drop charges from first degree murder to second degree murder.